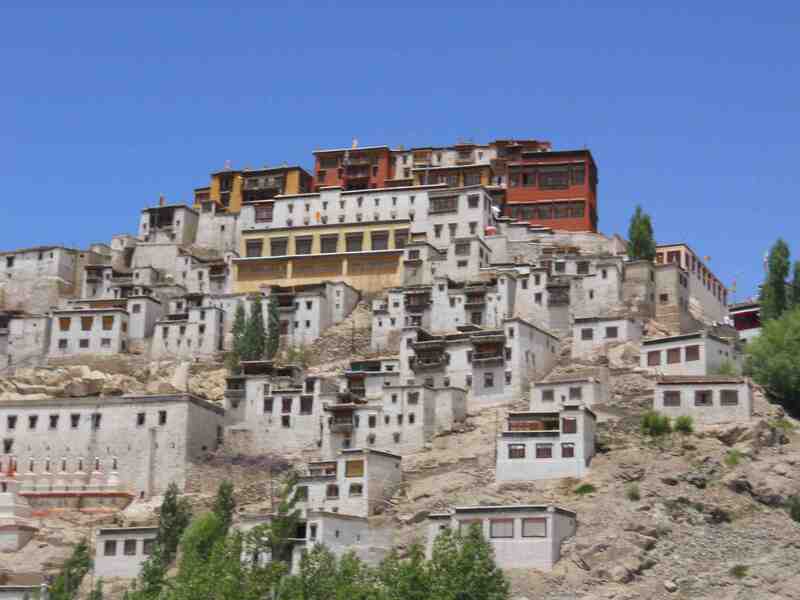 The best time to visit Ladakh is June – Sept, when the weather is good, the skies are clear and the passes are open. Day 1 Arrive at Leh; acclimatise. Day 03 Leh to Pangong Lake ( 130 kms) Leave early morning at 5AM leave for Pangong Lake through Changla pass 5486 meters. While ascending Changla pass enjoy the beautiful panoramic view of the villages below the pass. At Lukung, Enjoy the landscape in the backdrop of the Lake.This famous blue brackish Lake of Pangong is 5/6 Kms wide and over 144Kms long with half of it running the other side of the “INDO CHINA BORDER”. One rarely feels so close to nature and environment and the scenery is unforgettable. Stay: At Pangong Tso at the Tented Accommodation with attached Western toilet. Day 05 Leh – Nubra Valley Visit Hunder Sand dunes; take a Camel ride on a double-humped Bactrian camel over the beautiful desert. Go to Turtuk, which is the last village on Indo-Pak border. This picturesque village has beautiful apricot orchards that are ready to pluck in the months of June-July. Overnight: Stay at Turtuk Holiday Resort. Day 06 Nubra Valley – Panamik – Leh Drive back via the hot water springs at Panamik. Arrive in Leh by 7 pm. Day 07: Departure Leh – Delhi Airport drop off for your flight back. Send me the details of this..
Hi, can I get the details for this? Can I get the details for this please. Thanks. is there a trip scheduled this year?